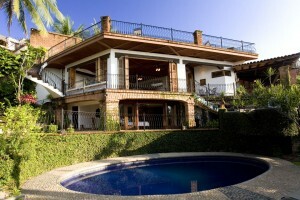 Casa Corona is a privately owned, open-air Mexican villa. Authentically styled, featuring traditional architecture, modern conveniences, and breathtaking views of the city’s beautiful bay. Located just steps away from the city’s cultural center, guests are within walking distance of Puerto Vallarta’s finest dining, art galleries, beaches and many popular attractions. Puerto Vallarta is the second largest city in the state of Jalisco and serves the beautiful Bay of Bahia. Casa Corona is located in the center of Old Town, the city’s cultural center, where cobblestone streets are filled with Vallarta’s distinctive architecture and visitors can explore the local Farmer’s Market, pristine beaches, and the famed Parish of Our Lady of Guadalupe.